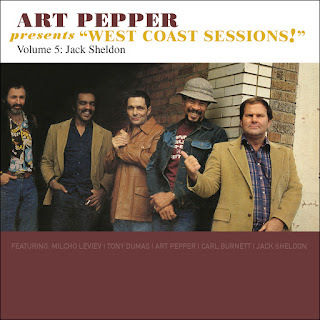 Omnivore Recordings is continuing to roll-out volumes from Art Pepper's "West Coast Sessions!" This latest batch, volumes 5 & 6, featuring the amazing work of Jack Sheldon and Shelly Manne, respectively. American bebop jazz trumpeter Jack Sheldon is not only an exceptional musician, but a singer ("Schoolhouse Rocks") and actor ("The Untouchables" "Dragnet"). His 50-plus year recording career found him teaming up with Art Pepper in 1980 as part of the album "Angel Wings: Jack Sheldon And His West Coast Friends." 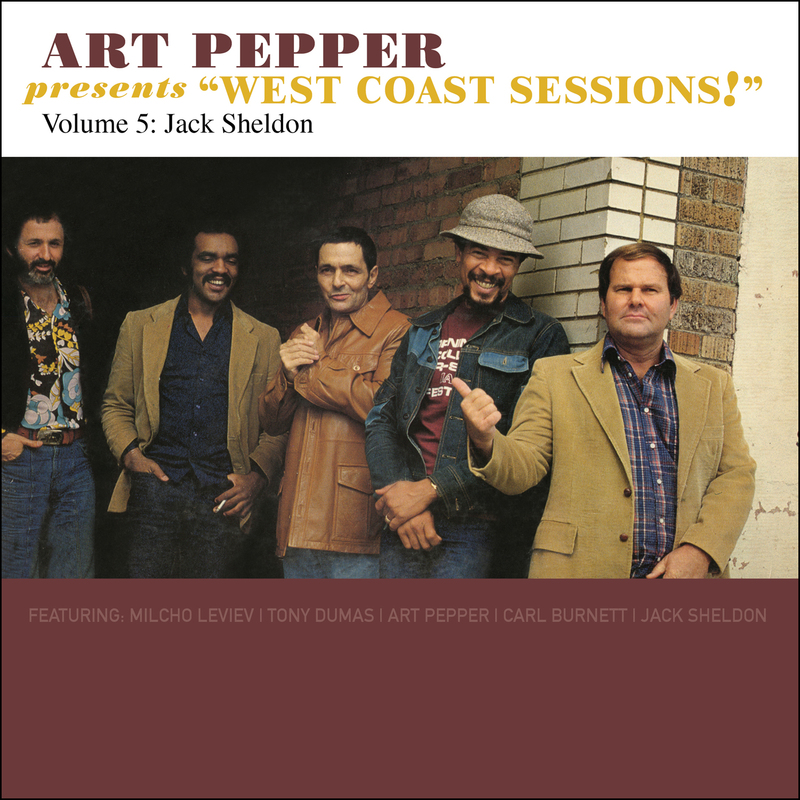 The album was only issued in Japan and is finally making its U.S. debut on CD as "Art Pepper Presents 'West Coast Sessions!' Volume 5: Jack Sheldon." The album featured the Art Pepper originals "Angel Wings" and "Minority," along with covers of the classics "Softly As In A Morning Sunrise" and "You'd Be So Nice To Come Home To." This new re-issue includes 4 bonus tracks, including alternate takes of the energetic "Broadway" and "Minority." The new set of songs close with the Jack Sheldon's vocal version of "Historia De Un Amor" as he adds a bit of authenticity to the song's Latin feel. 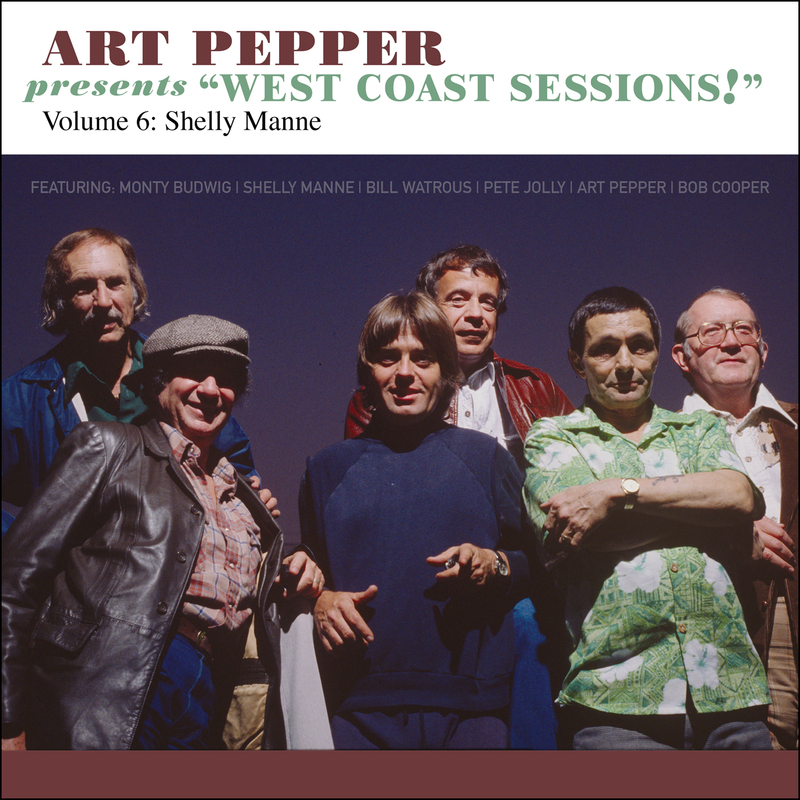 The following year, Art Pepper teamed up with established jazz drummer Shelly Manne for the album "Hollywood Jam: Shelly Manne And His West Coast Friends," which again was only released in Japan. This album becomes the subject of volume 6 in the "West Coast Sessions!" series. This group of musicians just enjoyed performing together as they jam for well-over the six-minute mark on songs like "Just Friends" and "Limhouse Blues." The well-known Tommy Dorsey classic "I'm Getting Sentimental Over You" appears twice on this release. Once as the closing number on the regular album and again as a ten-minute bonus track featuring an alternative take of the song during the sessions for the album. 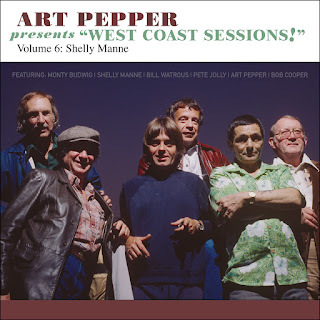 To find out more about "Art Pepper Presents 'West Coast Session!," please visit omnivorerecordings.com.